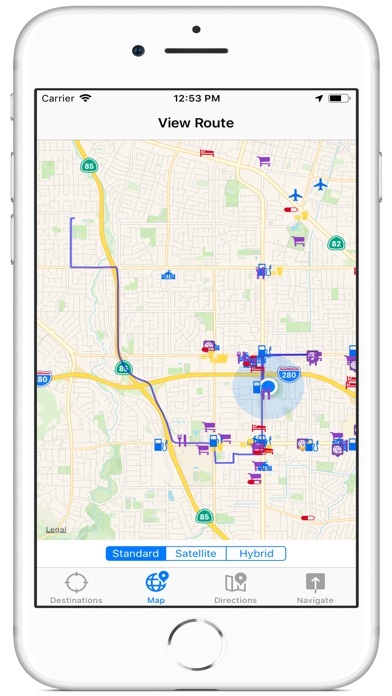 Destinate is an iOS app that provides route optimization for multiple destinations with integrated turn by turn GPS and voice guided navigation. 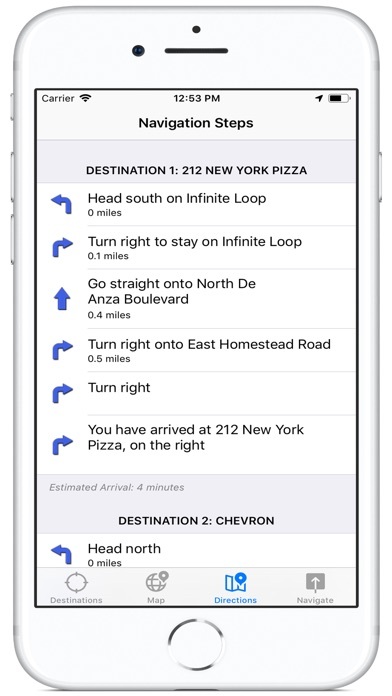 Wasting time and fuel is a distant memory with Destinate's route optimization and built-in voice-enabled GPS navigation. 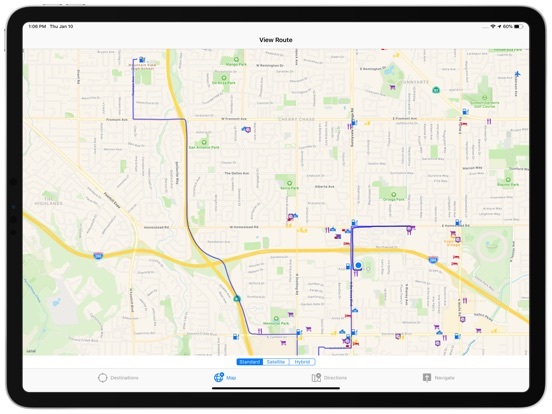 Combined with the power and flexibility of OpenStreetMap© that is continuously updated by volunteers all over the world, Apple Mapkit and the solid foundation of the Mapbox© API, Destinate propels you into the future of advanced route management while paving the way to your destination. 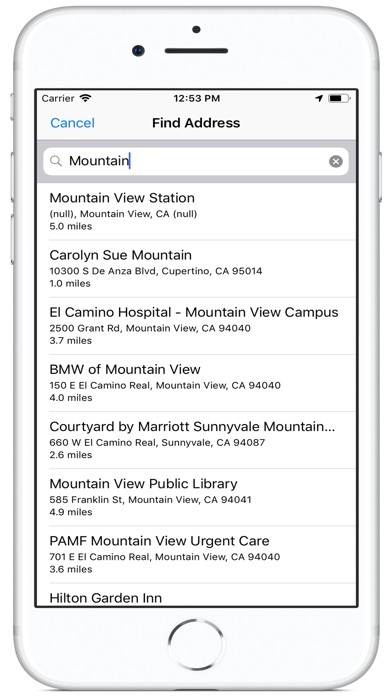 Save and load multiple routes with the touch of a button. 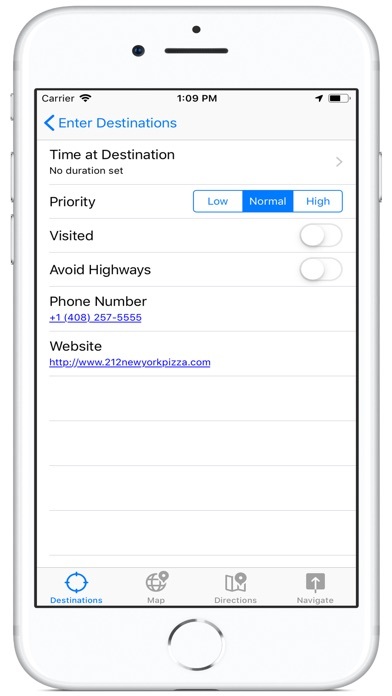 Each destination allows you to avoid highways, enter an anticipated duration at your destination and provides relevant information for businesses such as the telephone number and website (if available). 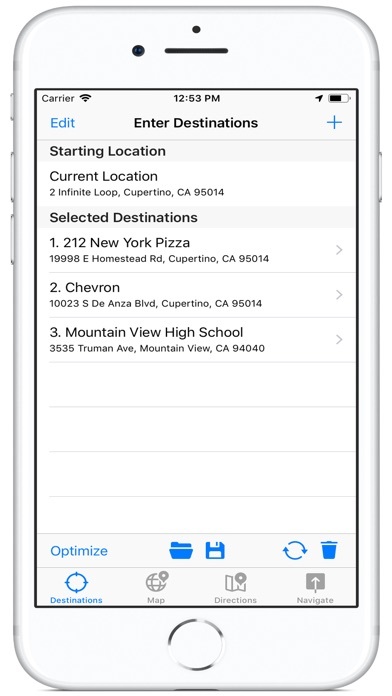 3D Touch allows you to peek at your preferences for each destination without leaving your list of destinations. Each destination will be marked as visited as you arrive and continue navigation to the next one. 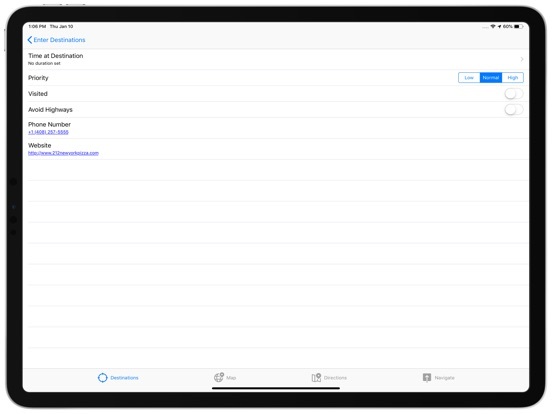 Destinate uses the standard distance unit (miles, feet, inches) by default, however this can be changed from the Settings app. 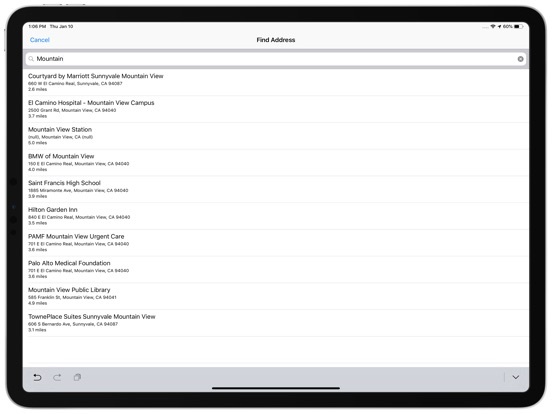 Other configurable options include: Always Check for Quicker route, Automatically Optimize Route, Navigate to Next Destination, Remember Route on Exit and Dead Reckoning. 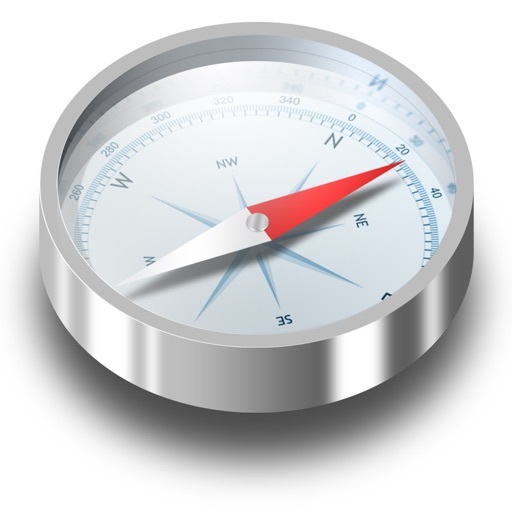 If you lose your GPS signal with Dead Reckoning enabled, Destinate will automatically determine your route and next maneuver until your GPS signal is restored. 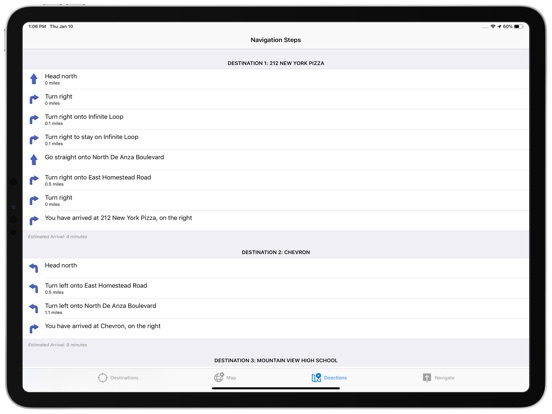 The Directions tab shows you step by step how to arrive at each destination, as well as how long it will take to arrive there while factoring in your anticipated duration at each stop. Destinate is packed full of features with many more to come. Grab your copy today and see why Destinate is quickly becoming a valuable tool in travel. Don't forget to rate us so that we know how we are doing! Destinate - Let's travel together!